I clearly have a thing for cupcakes. I love being able to take a tried and true favorite food and turn it into a cupcake. It doesn’t matter if it’s fruity, like my Blueberry Lemonade Cupcakes or inspired by a chocolate bar, like my Baby Ruth Cupcakes. 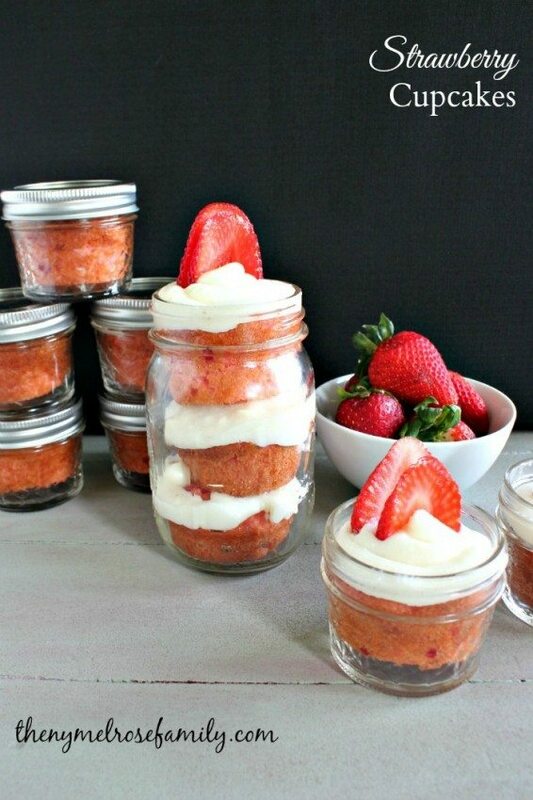 It’s all about making it into an individual sized bite of heaven and I definitely did that with these Strawberry Cupcakes with French Vanilla Icing and packaged in an adorable mason jar. They’re just perfect for a cookout! Mmm, strawberries and in a jar?! I love it. Pinning! I have a thing for your cupcakes, too! 🙂 You have the best recipes!